Q: What is Two Phase orthodontic treatment? A: Two phase orthodontic treatment consists of two separate parts; phase I and phase II. 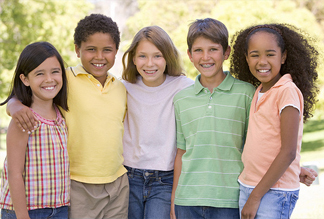 Common concerns for many parents that we hear are “My dentist recommended that my child see an orthodontist, but is it too early to start?” and “My child is teased at school because of his or her teeth.” Phase I treatment is for our younger patients, usually eight to ten years old, that are in mixed dentition (baby and permanent teeth present). We recommend this treatment when certain orthodontic and/or growth problems exist and need to be addressed. Phase I treatment creates more room, more space and an environment to get all the remaining permanent teeth in. We are also able to monitor and influence the growth of the jaws. This treatment typically lasts 12 to 18 months. Phase II treatment usually follows phase I. Now that all of the permanent teeth are in, a full set of braces is used to correct the bite. This is accomplished with the use of elastics or rubber bands. Phase II can last approximately 12 to 18 months as well.